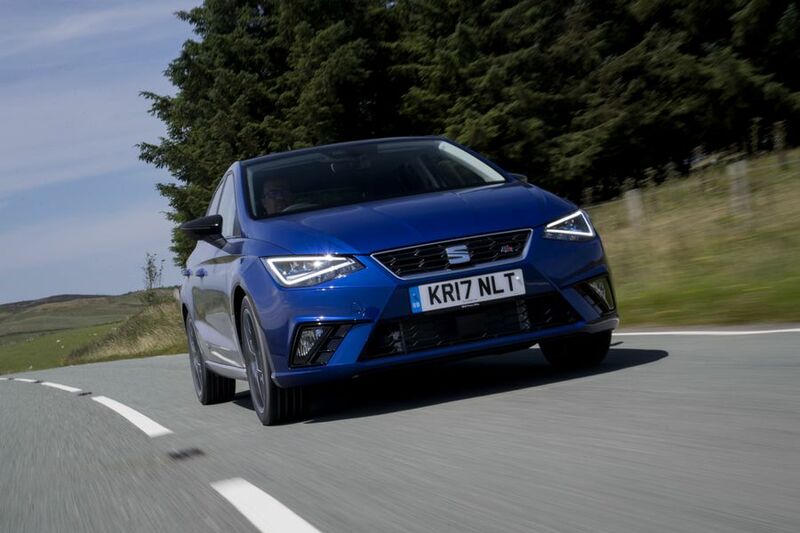 As an all-rounder, the Ibiza is pretty difficult to fault. It’s nice to drive, nice to sit in, nice to look at, it’s practical enough and it’s pretty affordable to buy and run. Importantly, it’s right up there with the very best cars of its type, and its swish looks and impressive tech will be enough to seal the deal for a lot of buyers. 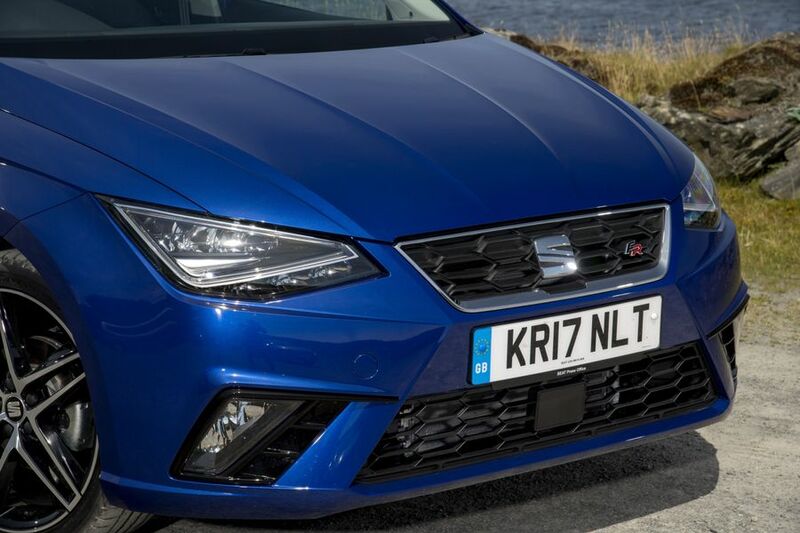 This latest Ibiza is a completely different car to its predecessor from top to bottom, so it’s perhaps a little surprising that it looks so similar to the previous one. Granted, the details are a little sharper and the lines are a shade crisper, but the overall effect looks very much like a facelift rather than something that’s brand spanking new. 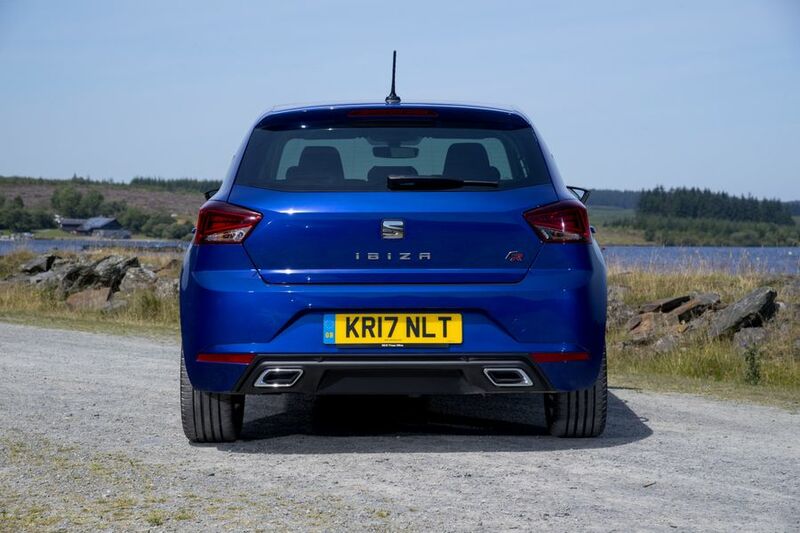 The cheapest model looks a little bland, but one single step upwards in the trim structure is all that’s needed to make your Ibiza look considerably smarter; the entry-level S version has steel wheels and black door handles and mirrors, while SE and SE Technology cars replace these with body-coloured items and alloys, as well as providing LED daytime running lights, LED tails lights and a chrome grille surround. FR and Xcellence cars add chrome window surrounds and privacy glass, while the sporty FR also adds a bespoke rear bumper and twin exhausts. The Ibiza’s interior looks smart and sophisticated, especially when compared with those of many rival cars. Yes, all of the plastics you find are hard – rather than soft – to the touch, but they’re nicely finished and there are enough metallic trims and glossy panels to hike up the overall feeling of quality. Granted, a VW Polo feels posher, but the Ibiza has the measure of most other rivals for classiness. There’s a lot of adjustment for your driving position, but you might have to play around with the settings to remedy the awkward feel of a seat base that’s angled backwards pretty severely. The 8.0-inch touch-screen infotainment system you get on SE Technology trim and above looks really cool, and it’s reasonably easy to use, if not quite as easy as the equivalent systems in some rivals. The Ibiza doesn’t re-write the rule book in this area, but it does a very solid job. Headroom and legroom are pretty generous in the rear seats, which will allow two gangly adults to travel very comfortably indeed, and a wide middle seat means carrying a third isn’t completely out of the question, either. At 355 litres, the boot is bigger than in a lot of the Ibiza’s competitors, and it’s a very useful square shape, too. 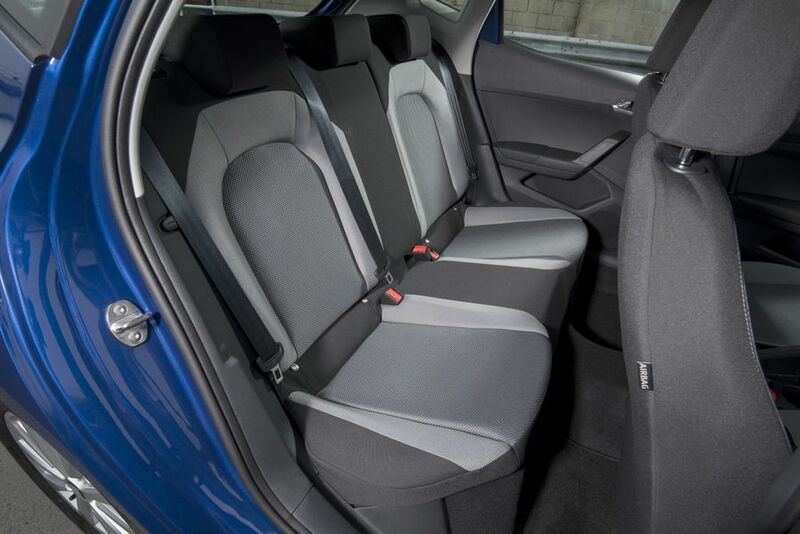 However, it’s a little disappointing that, on entry-level S cars, the rear seat folds down in one piece, rather than being split 60/40, as it is on the rest of the range. Even then, the rear seats lie at an angle when you fold them down, and there’s also a significant loading lip to contend with. You can reduce the severity of this by specifying a higher-set, removable boot floor, but that’s a cost option throughout the range. 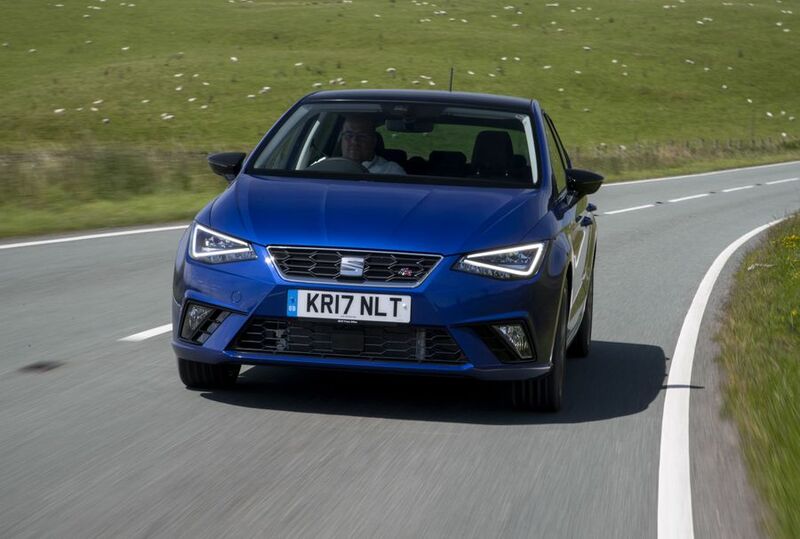 Most buyers see Seat as a reasonably sporty brand, and the Ibiza delivers enough ability in the corners to support that view. It feels light and agile when you’re changing direction, and, with lots of grip and keen control over its body movements, it’s good fun to fling around. True, the throttle response could be sharper, but you’ll like the snappy gearshift and responsive, nicely weighted steering. It also manages to combine that agility with a reasonably smooth ride, but while it stays comfortable most of the time, you do feel a little more edge from bumps than you do in some competitors. FR versions of the Ibiza come with a sports suspension that’s been both lowered and stiffened, but we haven’t yet had the chance to try it. There’s a wide range of petrol engines available in the Ibiza (diesels will become available later on), and we’ve tried all of them. The entry-level one is a 75PS three-cylinder unit that gives predictably modest pace, but it goes along pretty nicely if you don’t let the rev counter needle drop below the middle of the dial, and it’s also pretty smooth and quiet. However, it does start to struggle quite a bit if you come up against a steep hill, or you load up your car to the metaphorical rafters with stuff. You don’t have that problem in the first of the turbocharged versions, which has 95PS, because it delivers stronger pull from further down the rev range, making it more flexible and more eager, and that alone makes it worth the upgrade. That said, it’s still a little reluctant at the very bottom of the rev range and the power delivery can be a little stuttery. There’s a 115PS version of the same engine, which has the same character traits, and because it doesn’t ultimately make the car go that much faster, we don’t think it’s worth the extra over the 95PS version. The most powerful version we’ve tried is a 150PS turbocharged 1.5, and it gives you a useful hike in performance. When you push the engine into the middle of the rev range and beyond, you’ll be treated to very fizzy acceleration indeed. It stops short of hot – or even warm – hatch pace, but you won’t often find yourself wanting more go. All the cars we’ve driven have been fitted with a sweet-shifting manual gearbox, so we’re yet to try a car with the optional automatic gearbox. 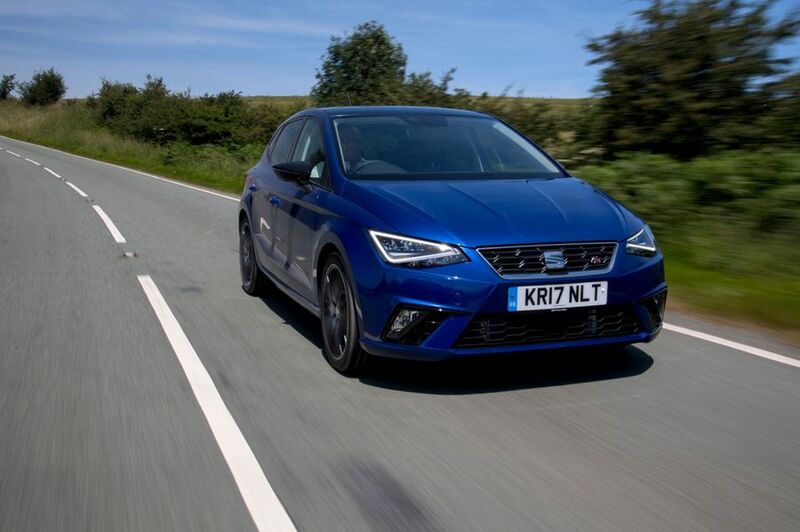 The prices for the entry-level versions of the Ibiza look very tempting indeed, but once you’ve specified an engine that you actually want, plus a trim level that provides enough kit, then you’ll find the amount you’ll have to pay has climbed considerably. That said, the same is true with most of the Ibiza’s rivals, and the prices are still very competitive. What’s more, resale values will be pretty solid for the class, and you’ll probably be able to get a bit off the price with a little of negotiation. The official efficiency figures quoted look fairly useful without being game-changing, with half the petrol versions of the car beating 60mpg and the other coming pretty close. We haven’t yet seen figures for the diesels, but these will be even better. 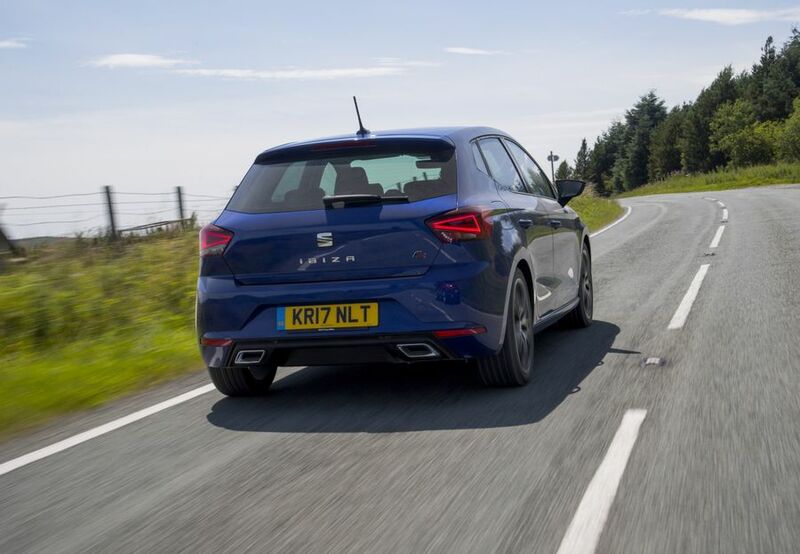 Things look likely to be pretty average here, if the performance of past Ibizas is anything to go by: the previous-generation car has a mediocre-at-best score in Warranty Direct’s Reliability Index, and Seat sits in the lower half of the manufacturer standings. One or two horror stories have been reported in our own owner reviews, too, but generally, the car’s reliability is rated pretty highly here. That said, this latest Ibiza is completely different mechanically from the car it replaces, so it’s difficult to know how much to read into all these factors. 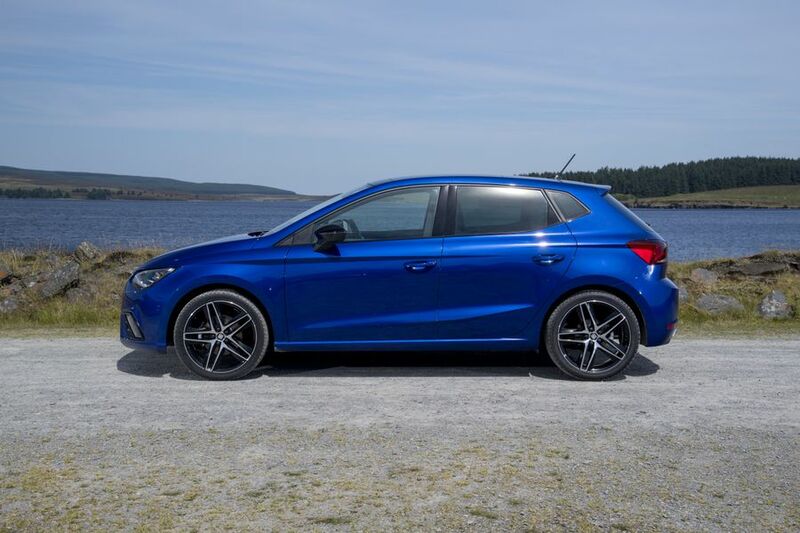 This iteration of the Ibiza has been crash tested by Euro NCAP, and it earned an excellent five stars. Why? Well, in part, it's because you get an autonomous emergency braking system as standard throughout the entire range, which is excellent. Every model also has six airbags, a tyre pressure-monitoring system, stability control, two Isofix child seat mountings and a hill-hold control function, while FR and Xcellence versions add a tiredness recognition sensor and an alarm. 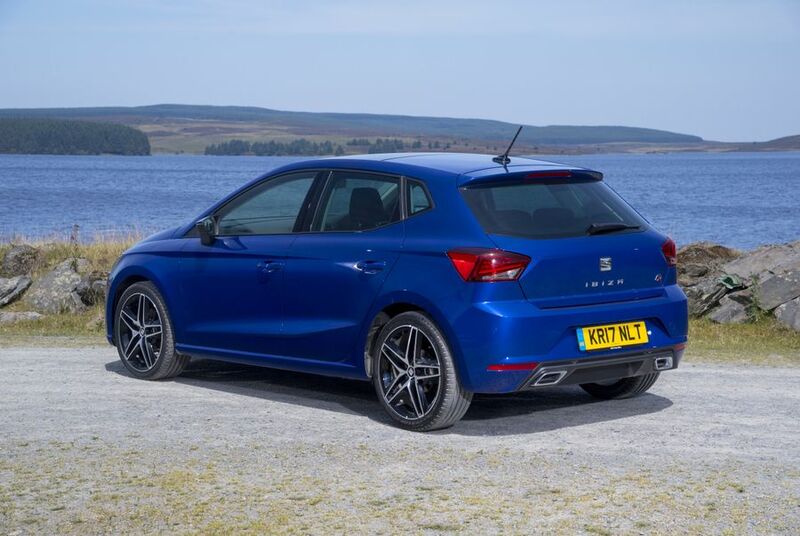 The base-level Ibiza is known as the S, and it comes with a very decent level of standard equipment including air-conditioning, electric front windows, remote locking, Bluetooth, a 5.0-inch touch-screen and four stereo speakers. That said, you’d probably want to upgrade to SE trim for the smarter looks alone, but the extra two speakers and the leather steering wheel and gear knob will also help sway you. 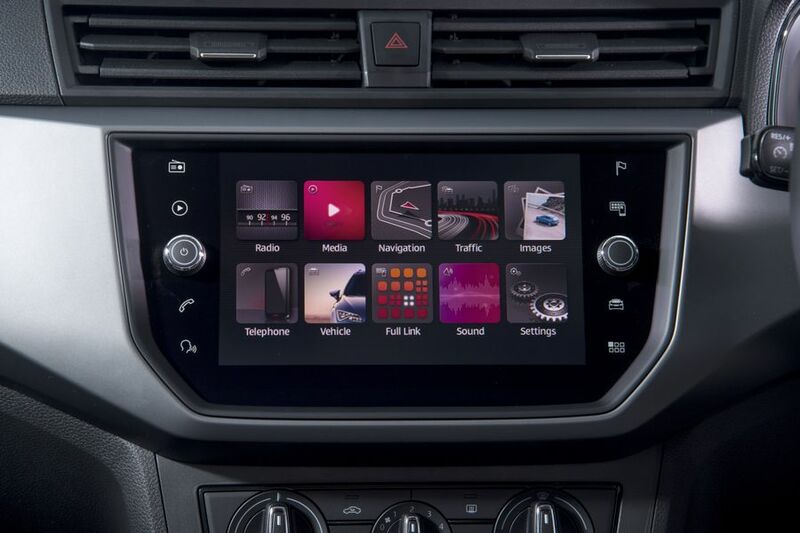 SE Technology trim gives you a bigger 8.0-inch colour touch-screen with sat-nav, while the FR also provides you with DAB, enhanced smartphone connectivity, ambient lighting, cruise control, rain-sensing wipers, sports seats and sports suspension. Xcellence trim doesn’t have those last two items, but it has more luxury goodies besides, including Alcantara upholstery, climate control, electric rear windows, keyless go, parking sensors at both ends of the car and a rear parking camera. Because style and gadgetry lie pretty near the top of your list of priorities for your next supermini. The Ibiza delivers on those scores, and it’s strong in a number of other areas, too. A very capable and tempting option, and it should definitely be on the shortlist of anyone looking for a small hatchback.